It is not a requirement of the Canadian immigration authorities to have a lawyer to represent you for purposes of making a visa application or otherwise dealing with the immigration authorities, however, it is generally advisable to use a lawyer, and in some cases it is strongly recommended. Immigration applications have legal implications. 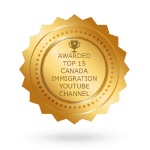 They are an application to the Canadian government for a type of status in Canada, and the Canadian immigration authorities are very strict in their assessment of these applications. Even a simple unintentional error can have very serious repercussions that can cause a great deal of trouble to the unwitting self-represented immigration applicant. What might seem to be a small, unimportant mistake can put you and your entire family’s future at risk. 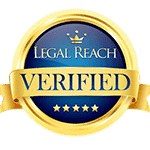 The benefit of using a lawyer is that they have years of legal training and experience and understand exactly what the immigration authorities require in each different type of case. A lawyer will ensure that your information is provided accurately to ensure that there are no misunderstandings, and will help you to obtain all necessary supporting documentation to best support your case. Lawyers know which type of application is right for you and how to best present your case and will guide you safely through the process. With so much at stake for you and your family, why would you plan for the future with anything less than a fully qualified and trained professional? While lawyers do not work for free and legal representation can be costly, the fees involved should be considered as an investment in your future, to ensure as best you can that your immigration dreams come true. Those who try to do it on their own, or use the assistance of a friend or amateur to prepare their immigration application, will all too often come to regret their casual approach to the immigration process. While a lawyer can try to help you once you or your amateur representative land in trouble with the immigration authorities, sadly all too often the damage has been done and cannot be repaired. 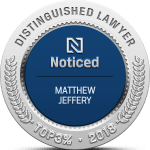 Therefore, legal representation is generally recommended, and in complex cases or litigation matters, strongly recommended if you want your case to succeed.